It would be awesome if someone would help me port Trex's brilliant The Jedi Masters mod to work with KOTOR 1 instead or TSL! * You can find out more about it and download it here: http://www.the-jedi-masters.com The reason for this is that I want to attempt to run The Jedi Masters with the Mobile (Android / IOS) version of KOTOR 1, so that would be pretty cool...almost like a new KOTOR game. 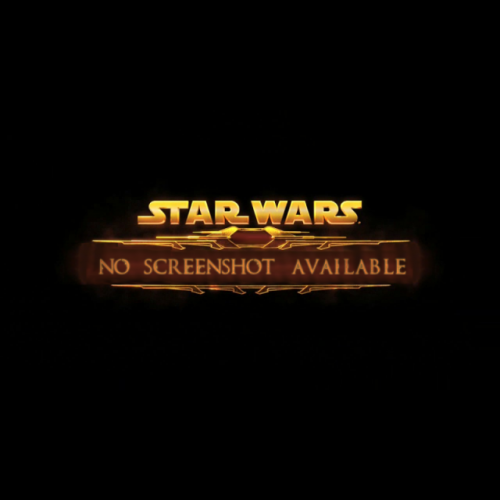 I have already tried installing The Jedi Masters mod onto the PC version of KOTOR 1, the game launches, when i start a new game the custom loading screeen appears, but then the game crashes! If anyone could provide some help or find the time to port the mod for me (if it is easy to do and does not take too much time / effort), i would greatly appreciate it! UPDATE 1: Progress: 15% Results: Got the game to load a savegame from the first level of the mod without crashing. Managed to get the level to partially (just a very little part of it) load (HUD, doors, characters, text above characters / objects). Can warp to modules using the console, most levels only display a black screen. Loading screens seem to work fine. -------------------- I﻿ experimen﻿ted with The Jedi Masters, i manually installed it (copied all files to neccesary folders) onto a copy of KOTOR 1 (obviously, on purpose), then i selected all the .mdl files in the Override fol﻿der, ran them through th﻿e K2 to K1 porting process with MDLEdit, batch renamed them then put the converted / ported files back to Override.﻿﻿﻿﻿ I basically followed the porting procedure described in Thor110's K1 to K2 level porting tutorial, but in reverse (in MDLEdit open .mdl as K2 file -> conve﻿rt to ﻿ASCII﻿ -> op﻿en ﻿the resulting ASCII file a﻿s﻿ K1 file -> convert back to Binary). The .mod files from the Modules folder should already be compati﻿﻿ble i﻿ figured... ﻿Progress: now the game loads a save from The Jedi Masters instead of crashing the game. It also shows elements lile the doors and characters, with their corresponding label / text above them! My character cannot move unfortunately. The game crashes when starting a new game, just like before porting the .mdl files. I am definately making some progress here! I wonder why the game won't load the other elements like textures though, as far as i know they should work without porting them, only the .mdl files require porting. UPDATE 2: Progress: 70% Results: Got the game to properly load a savegame from the mod. The level loads completly, all loading screens, maps, textures, characters, journal entries, map, dialogues and most interactions seem to work! I can also now move freely through the game. My character model is displayed without the head, i managed to get around that by changing my appearance to Dustil using Kotor Savegame Editor. -------------------- After the last attepmt when i ported all .mdl files to K1 format, now i also copied all the ported K2 modules and files (textures, models, characters, maps, etc.) that i made for my KOTOR II Mobile portimg attempt. Progress: Now the game loads the entire level, not just the doors and characters. I can walk around the level and interact with NPC's, open doors and containers, have proper conversation, even the journal and map work! When starting a new game it starts a new KOTOR 1 game instead of crashing like it did before. I also copied the files over to an iPad running the Mobile version of KOTOR 1 (i installed / copied the files like a mod)! 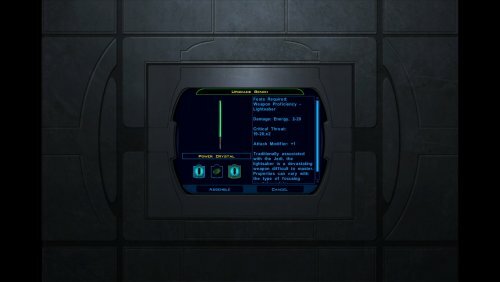 Some pictures (notice the KOTOR 1 Mobile HUD): *For my personal use only, no files will be published or uploaded without the original modder's clear and explicit consent, as all work related to the mod belongs to him! Greetings everyone, This project is meant to attempt to port all content from Star Wars: KOTOR II TSL into Star Wars KOTOR 1 Mobile (for Android / IOS), resulting into a partially / fully playable mobile version of KOTOR II TSL for IOS / Android. 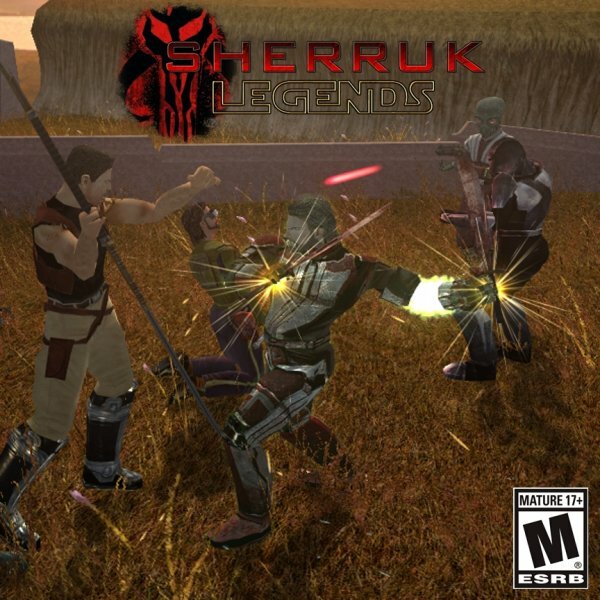 The game will be installed and ran as a Total Conversion Mod over the mobile KOTOR 1 version. The mod development will consist in the following stages: - 1. Converting all files from the PC version of KOTOR II, to work with the older KOTOR 1 engine. - 2. Adapting these files to be installed as a mod (into the Override folder, etc.) for KOTOR 1 - 3. Downgrading / adapting features from KOTOR II that are inexisting in KOTOR 1 (like Crafting, Lightsaber Forms, Companion Training and Loyalty, etc.) - 3. 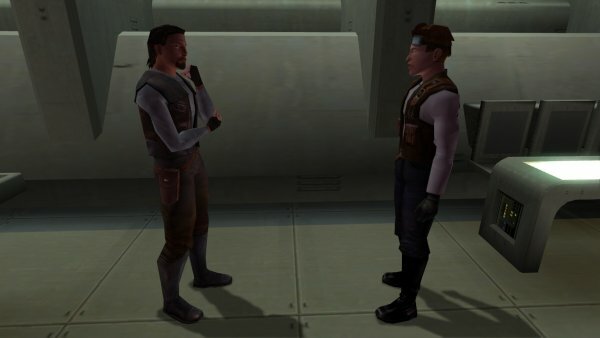 Adapting and optimising the mod to work on IOS / Android KOTOR 1. - 4. Testing, Optimising, Polishing ---------- Different approaches (listed here as inspiration for other porting endevours): - Porting the Xoreos Engine or KotOR JS Engine to Android / IOS (for the developers of the Xoreos Engine / KotOR JS Engine) - Updating the KOTOR 1 Mobile older version of Odissey Engine to work with features from the newer KOTOR II TSL engine (for modders who experimented with the source code of the engines, etc.) ---------- The mod / port will be released here as it is being worked on, and updated as it is progressed on! This endevour will be completly open and collaborative, all work will be uploaded from the start and updated as it progresses! Everyone who believes they can contribute or help with this project in any way are invited to! 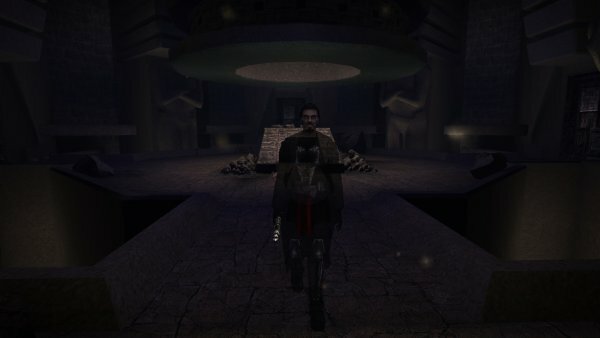 ============================== STATUS: Project Completition: 5% Project Status: Phase 1 (KOTOR 1 to KOTOR 2 file conversions) Progress: Ported unmodified files from KOTOR II TSL PC version to KOTOR 1 IOS version. Filename adapted to work with IOS File System (all files were renamed in lowercase letters). Practical Result: Succeded in having partial KOTOR II TSL code execution and asset loading into KOTOR 1 IOS version. Specifically, the game crashes when launchimg a mew game, but loading a savegame works. 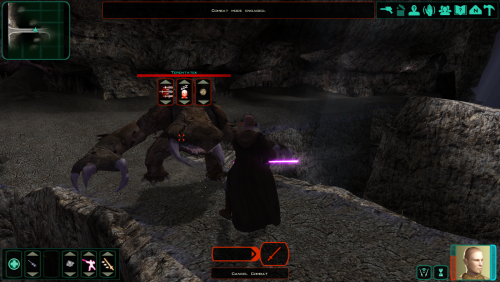 Loading a savegame will display a black screen, however the background music plays, and the Inventory, Map and Quests screens can be accesed and they display the KOTOR II respective content. Accesing the Character screen crashes the game. I will upload a Youtube video showing the resulting functionality soon! To do next: Convert the modules, textures and animation files from KOTOR 2 format to the KOTOR 1 format and load them into the KOTOR 1 engine. ============================== UPDATE 1: So﻿ far i managed to port the K2 maps to K1 using @Thor110's brilliant tutorial "01 - [TUTORIAL] - Creating a Module for TSL using a KotOR Map! 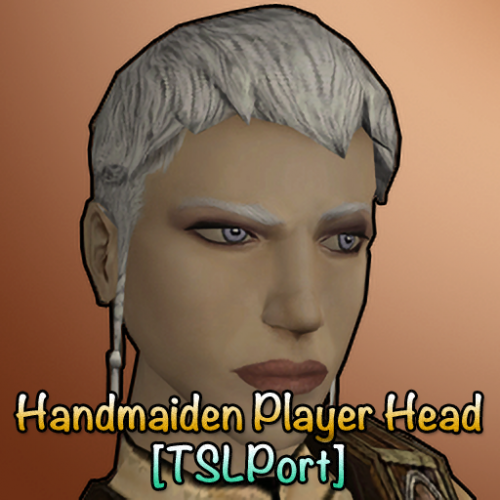 ", found here: https://deadlystream.com/topic/6886-tutorial-kotor-modding-tutorial-series/ Now the maps can be wa﻿rped to but there are no story elements, most NPC's are present but interaction with them does not work, most containers are empty, some still have the loot inside, area transition works for some arear but fails many times, especially when you want to enter the﻿ docked Ebon Hawk. Most levels load fine but some of them crash the game (especially the Peragus levels), and the mini-map does not display at all, strangely when the map section is accessed it always shows the Manaan Hrakert Rift Underwater Station map. The character animations also got "broken" after adding the ported files (that is why the characters look so "stiff" in the pictures)... So i could say i had very partial success so far! ============================== STATUS UPDATE: Project Completition: 20% Project Status: Phase 2 (KOTOR 1 to KOTOR 2 converted files adapting and optimising) Progress: Ported all KOTOR 2 maps to KOTOR 1 format using Thor110's tutorial. Loaded ported / converted maps into the mobile version of KOTOR 1. Practical Result: Got partial success, most levels work and have been ported fine, some content / features / characters like story elements and NPC interaction do not work, the minimap does not display at all and the map does not work on the ported levels (it always displays the Hrakert Rift Station level map), some area transitions (Return to the Ebon Hawk) do not work, the text above NPC's / area transitions / story objects in level does not display at all (the field is always blank). The character animations also got broken because of the added ported files. I copied the ported levels into the mobile version of KOTOR 1 (after renaming all filenames in lowercase characters) and managed to get the game to load the ported levels by making a savegame for each module, them transferring that savegame on the mobile version, and loading that save in KOTOR 1 mobile. I am using an iPad 3 to test the mod. To do next: Adapt and optimise the files causing the bugs / glitches / problems, like script files, restore all functionality (story elements, characters, scripts, etc.). This will be the hardest part (if possible at all)! ============================== Some pictures of the mod in action (notice the KOTOR 1 mobile HUD): Credit: Many thanks go @Thor110 for his brilliant tutorial "01 - [TUTORIAL] - Creating a ﻿Module for TSL using a KotOR Map! ", found here: https://deadlystream.com/topic/688 Without this great tutorial i would have been unable to make any progress at all! He basically made it possible to port the levels from K1 to K2! *Updates will be posted to this thread as they come! This post will also be updated as well. With the release of DarthParametric's "Mira Player Head for K1" Mod, I decided to Port Mira's clothing to K1. It replaces the Female Scout clothing, but should you want it to replace an armor model in the game, all you have to do (to my knowledge, at least) is rename the files to match the file names of the armor you want it to replace! To install, simply take the 3 PFBBM files and move them to your override folder. 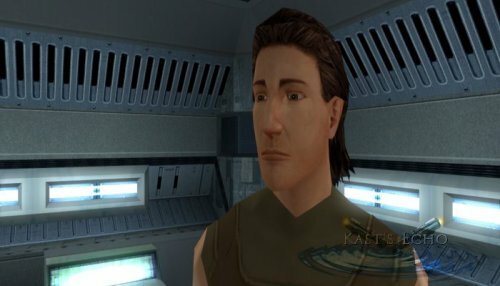 ================================ KNIGHTS OF THE REPUBLIC II Mod ================================ Title: K1 Heads Port Version: 1.0.1 Author: Ferc Kast Contact: PM me on DeadlyStream *********** DESCRIPTION *********** This mod ports the original player heads from KOTOR I for use as playable heads in KOTOR II. To use reskins for these heads, follow these steps: 1) Move the relevant head and / or portrait tpcs out of your override folder. 2) After extracting the textures from the reskin mod, prefix the head texture filenames with "K1_" or "k1_" (without the quotes). 3) Copy the textures into your override folder. ************ INSTALLATION ************ Unzip the file. Run TSLPatcher, and point the installer to your KOTOR II installation folder. If you are using the Steam copy of TSLRCM, point it to the folder where it is installed. ************** UNINSTALLATION ************** Copy the 2das from the backup folder into the Override folder. Remove the following files from the Override folder: - k1_pfha01.mdl - k1_pfha01.mdx - k1_pfha01.tpc - k1_pfha01d.tpc - k1_pfha01d1.tpc - k1_pfha01d2.tpc - k1_pfha01d3.tpc - k1_pfha02.mdl - k1_pfha02.mdx - k1_pfha02.tpc - k1_pfha02d.tpc - k1_pfha02d1.tpc - k1_pfha02d2.tpc - k1_pfha02d3.tpc - k1_pfha03.mdl - k1_pfha03.mdx - k1_pfha03.tpc - k1_pfha03d.tpc - k1_pfha03d1.tpc - k1_pfha03d2.tpc - k1_pfha03d3.tpc - k1_pfha04.mdl - k1_pfha04.mdx - k1_pfha04.tpc - k1_pfha04d.tpc - k1_pfha04d1.tpc - k1_pfha04d2.tpc - k1_pfha04d3.tpc - k1_pfha05.mdl - k1_pfha05.mdx - k1_pfha05.tpc - k1_pfha05d.tpc - k1_pfha05d1.tpc - k1_pfha05d2.tpc - k1_pfha05d3.tpc - k1_pfhb01.mdl - k1_pfhb01.mdx - k1_pfhb01.tpc - k1_pfhb01d.tpc - k1_pfhb01d1.tpc - k1_pfhb01d2.tpc - k1_pfhb01d3.tpc - k1_pfhb02.mdl - k1_pfhb02.mdx - k1_pfhb02.tpc - k1_pfhb02d.tpc - k1_pfhb02d1.tpc - k1_pfhb02d2.tpc - k1_pfhb02d3.tpc - k1_pfhb03.mdl - k1_pfhb03.mdx - k1_pfhb03.tpc - k1_pfhb03d.tpc - k1_pfhb03d1.tpc - k1_pfhb03d2.tpc - k1_pfhb03d3.tpc - k1_pfhb04.mdl - k1_pfhb04.mdx - k1_pfhb04.tpc - k1_pfhb04d.tpc - k1_pfhb04d1.tpc - k1_pfhb04d2.tpc - k1_pfhb04d3.tpc - k1_pfhb05.mdl - k1_pfhb05.mdx - k1_pfhb05.tpc - k1_pfhb05d.tpc - k1_pfhb05d1.tpc - k1_pfhb05d2.tpc - k1_pfhb05d3.tpc - k1_pfhc01.mdl - k1_pfhc01.mdx - k1_pfhc01.tpc - k1_pfhc01d.tpc - k1_pfhc01d1.tpc - k1_pfhc01d2.tpc - k1_pfhc01d3.tpc - k1_pfhc02.mdl - k1_pfhc02.mdx - k1_pfhc02.tpc - k1_pfhc02d.tpc - k1_pfhc02d1.tpc - k1_pfhc02d2.tpc - k1_pfhc02d3.tpc - k1_pfhc03.mdl - k1_pfhc03.mdx - k1_pfhc03.tpc - k1_pfhc03d.tpc - k1_pfhc03d1.tpc - k1_pfhc03d2.tpc - k1_pfhc03d3.tpc - k1_pfhc04.mdl - k1_pfhc04.mdx - k1_pfhc04.tpc - k1_pfhc04d.tpc - k1_pfhc04d1.tpc - k1_pfhc04d2.tpc - k1_pfhc04d3.tpc - k1_pfhc05.mdl - k1_pfhc05.mdx - k1_pfhc05.tpc - k1_pfhc05d.tpc - k1_pfhc05d1.tpc - k1_pfhc05d2.tpc - k1_pfhc05d3.tpc - k1_pmha01.mdl - k1_pmha01.mdx - k1_pmha01.tpc - k1_pmha01d.tpc - k1_pmha01d1.tpc - k1_pmha01d2.tpc - k1_pmha01d3.tpc - k1_pmha02.mdl - k1_pmha02.mdx - k1_pmha02.tpc - k1_pmha02d.tpc - k1_pmha02d1.tpc - k1_pmha02d2.tpc - k1_pmha02d3.tpc - k1_pmha03.mdl - k1_pmha03.mdx - k1_pmha03.tpc - k1_pmha03d.tpc - k1_pmha03d1.tpc - k1_pmha03d2.tpc - k1_pmha03d3.tpc - k1_pmha04.mdl - k1_pmha04.mdx - k1_pmha04.tpc - k1_pmha04d.tpc - k1_pmha04d1.tpc - k1_pmha04d2.tpc - k1_pmha04d3.tpc - k1_pmha05.mdl - k1_pmha05.mdx - k1_pmha05.tpc - k1_pmha05d.tpc - k1_pmha05d1.tpc - k1_pmha05d2.tpc - k1_pmha05d3.tpc - k1_pmhb01.mdl - k1_pmhb01.mdx - k1_pmhb01.tpc - k1_pmhb01d.tpc - k1_pmhb01d1.tpc - k1_pmhb01d2.tpc - k1_pmhb01d3.tpc - k1_pmhb02.mdl - k1_pmhb02.mdx - k1_pmhb02.tpc - k1_pmhb02d.tpc - k1_pmhb02d1.tpc - k1_pmhb02d2.tpc - k1_pmhb02d3.tpc - k1_pmhb03.mdl - k1_pmhb03.mdx - k1_pmhb03.tpc - k1_pmhb03d.tpc - k1_pmhb03d1.tpc - k1_pmhb03d2.tpc - k1_pmhb03d3.tpc - k1_pmhb04.mdl - k1_pmhb04.mdx - k1_pmhb04.tpc - k1_pmhb04d.tpc - k1_pmhb04d1.tpc - k1_pmhb04d2.tpc - k1_pmhb04d3.tpc - k1_pmhb05.mdl - k1_pmhb05.mdx - k1_pmhb05.tpc - k1_pmhb05d.tpc - k1_pmhb05d1.tpc - k1_pmhb05d2.tpc - k1_pmhb05d3.tpc - k1_pmhc01.mdl - k1_pmhc01.mdx - k1_pmhc01.tpc - k1_pmhc01d.tpc - k1_pmhc01d1.tpc - k1_pmhc01d2.tpc - k1_pmhc01d3.tpc - k1_pmhc02.mdl - k1_pmhc02.mdx - k1_pmhc02.tpc - k1_pmhc02d.tpc - k1_pmhc02d1.tpc - k1_pmhc02d2.tpc - k1_pmhc02d3.tpc - k1_pmhc03.mdl - k1_pmhc03.mdx - k1_pmhc03.tpc - k1_pmhc03d.tpc - k1_pmhc03d1.tpc - k1_pmhc03d2.tpc - k1_pmhc03d3.tpc - k1_pmhc04.mdl - k1_pmhc04.mdx - k1_pmhc04.tpc - k1_pmhc04d.tpc - k1_pmhc04d1.tpc - k1_pmhc04d2.tpc - k1_pmhc04d3.tpc - k1_pmhc05.mdl - k1_pmhc05.mdx - k1_pmhc05.tpc - k1_pmhc05d.tpc - k1_pmhc05d1.tpc - k1_pmhc05d2.tpc - k1_pmhc05d3.tpc - pmha05hair.tpc - po_pfha1.tpc - po_pfha1d.tpc - po_pfha1d1.tpc - po_pfha1d2.tpc - po_pfha1d3.tpc - po_pfha2.tpc - po_pfha2d.tpc - po_pfha2d1.tpc - po_pfha2d2.tpc - po_pfha2d3.tpc - po_pfha3.tpc - po_pfha3d.tpc - po_pfha3d1.tpc - po_pfha3d2.tpc - po_pfha3d3.tpc - po_pfha4.tpc - po_pfha4d.tpc - po_pfha4d1.tpc - po_pfha4d2.tpc - po_pfha4d3.tpc - po_pfha5.tpc - po_pfha5d.tpc - po_pfha5d1.tpc - po_pfha5d2.tpc - po_pfha5d3.tpc - po_pfhb1.tpc - po_pfhb1d.tpc - po_pfhb1d1.tpc - po_pfhb1d2.tpc - po_pfhb1d3.tpc - po_pfhb2.tpc - po_pfhb2d.tpc - po_pfhb2d1.tpc - po_pfhb2d2.tpc - po_pfhb2d3.tpc - po_pfhb3.tpc - po_pfhb3d.tpc - po_pfhb3d1.tpc - po_pfhb3d2.tpc - po_pfhb3d3.tpc - po_pfhb4.tpc - po_pfhb4d.tpc - po_pfhb4d1.tpc - po_pfhb4d2.tpc - po_pfhb4d3.tpc - po_pfhb5.tpc - po_pfhb5d.tpc - po_pfhb5d1.tpc - po_pfhb5d2.tpc - po_pfhb5d3.tpc - po_pfhc1.tpc - po_pfhc1d.tpc - po_pfhc1d1.tpc - po_pfhc1d2.tpc - po_pfhc1d3.tpc - po_pfhc2.tpc - po_pfhc2d.tpc - po_pfhc2d1.tpc - po_pfhc2d2.tpc - po_pfhc2d3.tpc - po_pfhc3.tpc - po_pfhc3d.tpc - po_pfhc3d1.tpc - po_pfhc3d2.tpc - po_pfhc3d3.tpc - po_pfhc4.tpc - po_pfhc4d.tpc - po_pfhc4d1.tpc - po_pfhc4d2.tpc - po_pfhc4d3.tpc - po_pfhc5.tpc - po_pfhc5d.tpc - po_pfhc5d1.tpc - po_pfhc5d2.tpc - po_pfhc5d3.tpc - po_pmha1.tpc - po_pmha1d.tpc - po_pmha1d1.tpc - po_pmha1d2.tpc - po_pmha1d3.tpc - po_pmha2.tpc - po_pmha2d.tpc - po_pmha2d1.tpc - po_pmha2d2.tpc - po_pmha2d3.tpc - po_pmha3.tpc - po_pmha3d.tpc - po_pmha3d1.tpc - po_pmha3d2.tpc - po_pmha3d3.tpc - po_pmha4.tpc - po_pmha4d.tpc - po_pmha4d1.tpc - po_pmha4d2.tpc - po_pmha4d3.tpc - po_pmha5.tpc - po_pmha5d.tpc - po_pmha5d1.tpc - po_pmha5d2.tpc - po_pmha5d3.tpc - po_pmhb1.tpc - po_pmhb1d.tpc - po_pmhb1d1.tpc - po_pmhb1d2.tpc - po_pmhb1d3.tpc - po_pmhb2.tpc - po_pmhb2d.tpc - po_pmhb2d1.tpc - po_pmhb2d2.tpc - po_pmhb2d3.tpc - po_pmhb3.tpc - po_pmhb3d.tpc - po_pmhb3d1.tpc - po_pmhb3d2.tpc - po_pmhb3d3.tpc - po_pmhb4.tpc - po_pmhb4d.tpc - po_pmhb4d1.tpc - po_pmhb4d2.tpc - po_pmhb4d3.tpc - po_pmhb5.tpc - po_pmhb5d.tpc - po_pmhb5d1.tpc - po_pmhb5d2.tpc - po_pmhb5d3.tpc - po_pmhc1.tpc - po_pmhc1d.tpc - po_pmhc1d1.tpc - po_pmhc1d2.tpc - po_pmhc1d3.tpc - po_pmhc2.tpc - po_pmhc2d.tpc - po_pmhc2d1.tpc - po_pmhc2d2.tpc - po_pmhc2d3.tpc - po_pmhc3.tpc - po_pmhc3d.tpc - po_pmhc3d1.tpc - po_pmhc3d2.tpc - po_pmhc3d3.tpc - po_pmhc4.tpc - po_pmhc4d.tpc - po_pmhc4d1.tpc - po_pmhc4d2.tpc - po_pmhc4d3.tpc - po_pmhc5.tpc - po_pmhc5d.tpc - po_pmhc5d1.tpc - po_pmhc5d2.tpc - po_pmhc5d3.tpc **** BUGS **** Some of the male lips clip slightly on the character creation screen, but they are fine during the rest of the game. Let me know if you find any others. ******* CREDITS ******* - Fred Tetra, for developing the KOTOR Tool - Stoffe, for developing TSLPatcher ********* CHANGELOG ********* 1.0.1 - Updated Readme for clearer instructions on using reskins with this mod. 1.0 - Initial Release *********** PERMISSIONS *********** You may not redistribute this mod on other sites without my permission. You may use this mod in your own if you ask me. ********** DISCLAIMER ********** THIS MODIFICATION IS PROVIDED AS-IS AND IS NOT SUPPORTED BY BIOWARE/OBSIDIAN ENTERTAINMENT OR LUCASARTS OR ANY LICENSERS/SPONSORS OF THE MENTIONED COMPANIES. USE OF THIS FILE IS AT YOUR OWN RISK AND THE ABOVE MENTIONED COMPANIES OR THE AUTHOR IS NOT RESPONSIBLE FOR ANY DAMAGE CAUSED TO YOUR COMPUTER FOR THE USAGE OF THIS FILE. Mods that are featured in the screenshot: Ecce's "PC Recolor Clothes" winzum93's "New Kotor 2 PC Head" Xerios's "Old PMHC04 (Mullet Man)" Tools used with the attempt: Fred Tetra's "KotORTool" bead-v's "MDLedit" Chuck Chargin Jr./ndix UR's "MDLOps" JCarter426's "JC's Cloaked Jedi Robes & Supermodel Port for K1 - Supermodels" ndix UR's "tga2tpc" stoffe/Fair Strides' "TSLPatcher"
Now that port is allowed I would love to get my young dream of play K1 using the "Jesus" or "Obi-wan" stlyle head from the second game (Think it is the PMHC04 model). I remembered to trying to port by myself sometime ago but I got lost because of the animations so I gave up. Here is an picture: It would be also very appreciated if someone did some tutorial (Especially on how to port heads and bodies between both games). I feel I would like to do some things and it would help me a lot. Thanks! KOTOR 2 Blonde Guy Head in KOTOR 1? I don't know if someone has done this already, but could someone port the blonde guy head from KOTOR 2 to KOTOR 1? or link me to an existing one? I couldn't find it if it has already been done. Thanks! EDIT: This one. A Mod for Star Wars Knights of The Old Republic Author: N-DReW25 Release Date: 18.06.2018 Installation: Simply Copy and Paste or Drag and Drop ALL the files within the "For Override" into your Star Wars Knights of The Old Republic override folder Uninstallation: Remove or Delete the files from your Star Wars Knights of The Old Republic override folder Description: In both Kotor games, the green Lightsaber crystal is different from one another. In my opinion, the K2 crystal is the superior version and looks more like a crystal, thus, I have made this mod which ports the K2 crystal into K1. Known Bugs: None but if there is Just PM me on Deadlystream. Incompatibilities: Will be incompatible with things that edit "iw_SbrCrstl_016.tga" though I know of no mods which do so. Permissions: You are NOT allowed to claim this work to be your own. 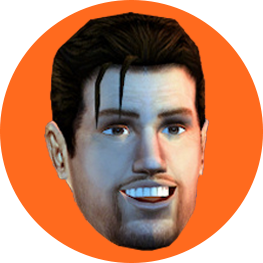 Thanks: Bioware for such an amazing game Fred Tetra for Kotor Tool The Staff of Deadlystream for lifting the no Porting rule and everyone who downloads the mod. Legal: THIS MODIFICATION IS NOT SUPPORTED BY BIOWARE/OBSIDIAN ENTERTAINMENT, LUCASARTS, DISNEY OR ANY LICENSERS/SPONSORS OF THE MENTIONED COMPANIES. USE OF THIS FILE IS AT YOUR OWN RISK AND THE ABOVE MENTIONED COMPANIES OR THE AUTHOR IS NOT RESPONSIBLE FOR ANY DAMAGE CAUSED TO YOUR COMPUTER FOR THE USAGE OF THIS FILE. *********************************** Knights of the Old Republic II *********************************** TITLE: Terentateks in TSL AUTHOR: LDR DATE: 6/17/18 FILENAME: terentatek_tsl FILESIZE: 2 MB -------------------------- INSTALLATION INSTRUCTIONS -------------------------- Simply put the all the files in the override folder into the Override folder in your KOTOR II directory. To uninstall, remove the files from the KOTOR II directory. 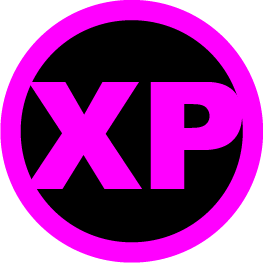 ------------ Permissions ------------ As I intend for this to be used as a modder's resource, all material included can be used in your own mods without asking for permission beforehand. Just mention me in your readme. ------------ DESCRIPTION ------------ Of all the things Obsidian chose to keep in the KOTOR II game files, leaving out terentateks was just a travesty. This mod brings them back, with one on Korriban and one on Dxun. On Korriban, just make sure to loot the half-eaten corpse in the beginning of the shyrack cave module. ----- BUGS ----- None I hope. If you find any please post them in the comments. I will address them as soon as I can. ------- Credits ------- Fred Tetra for his very useful KotOR Tool. JCarter426 for compiling my scripts for me. 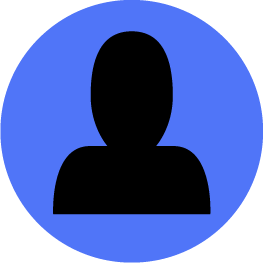 The DeadlyStream staff and community. The staff for allowing porting between games, and the community for still making KOTOR relevant after 15+ years. I love and appreciate you all.